Israeli soldiers opened fire, on Saturday morning, at several homes, and into farmlands, east of Khan Younis, in the southern part of the Gaza Strip. 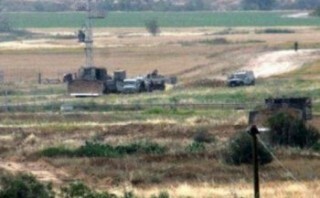 Eyewitnesses said the soldiers, stationed on military towers across the border fence, fired dozens of live rounds at homes, and lands, in Khuza’a neighborhood, east of Khan Younis. They added that the attack caused property damage, but did not lead to casualties. The attack is part of daily Israeli violations against the Palestinians, their homes and lands, in different parts of the besieged Gaza Strip, especially in areas close to the border fence, in addition to frequent attacks targeting fishermen and their boats, in Palestinian waters.